"Over the last several months, a number of citizens vanished into thin air." Studiocanal UK revealed the official full-length trailer for yet another adventurous animated movie based on toys, called Playmobil: The Movie. If it isn't obvious enough, this is based on the Playmobil toys + various characters, made by a German conglomerate called the Brandstätter Group. This whole thing is a Lego rip-off in so many different ways, and it looks like an absolute disaster of a film. "Packed with humor and excitement the film combines endearing and hilarious characters, thrilling adventure and breathtaking scenery in this original, animated heart-warming tale." Featuring the voices of Anya Taylor-Joy, Jim Gaffigan, Gabriel Bateman, Adam Lambert, Kenan Thompson, Meghan Trainor, and Daniel Radcliffe. It's pretty amazing they even ripped off The Lego Movie concept where real humans are playing with the toys. And then she gets sucked into their world. Seriously?! Is there anything original or interesting about this movie?! It looks so, so awful. You can rewatch the very first teaser trailer for Playmobil: The Movie here, to see the original intro again. When her younger brother Charlie (Gabriel Bateman) unexpectedly disappears into the magical, animated universe of Playmobil, unprepared Marla (Anya Taylor-Joy) must go on a quest of a lifetime to bring him home. As she sets off on a fantastic journey across stunning new worlds, Marla teams up with some unlikely and heroic new friends -- the smooth-talking food truck driver Del (Jim Gaffigan), the dashing and charismatic secret agent Rex Dasher (Daniel Radcliffe), a wholehearted misfit robot, an extravagant fairy-godmother (Meghan Trainor) and many more. Through their vibrant adventure, Marla and Charlie realize that no matter how life plays out, you can achieve anything if you believe in yourself. 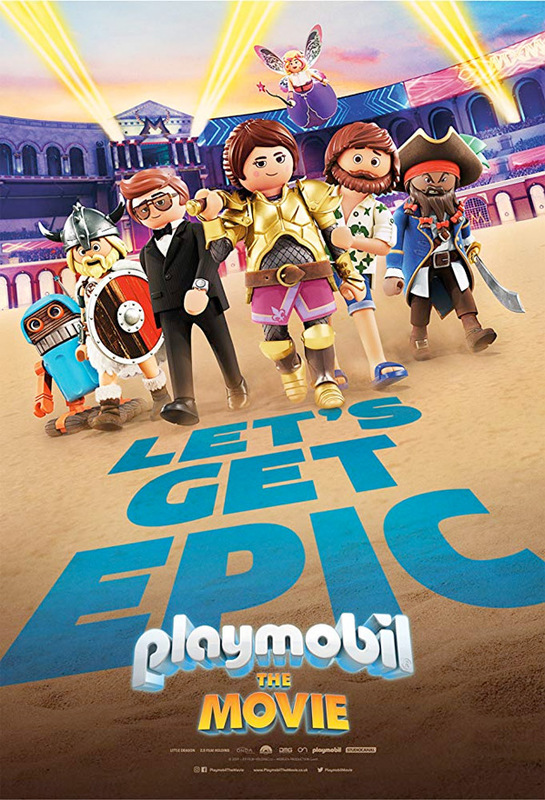 Playmobil: The Movie is directed by American animator / filmmaker Lino DiSlavo, making his feature directorial debut after working as a supervising animator at Disney for years, including on Bolt, Tangled, and Frozen. The screenplay is by Blaise Hemingway and Greg Erb & Jason Oremland, based on a story by Lino DiSalvo. Global Road will release Playmobil in US theaters starting November 22nd, 2019 later this fall. Anyone?